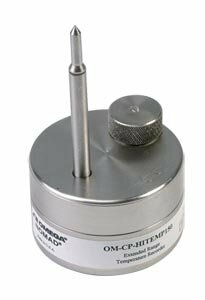 We have responded to the demand by developing the HiTemp150-TSK, a submersible thermal enclosure for the HiTemp150 data logger. This durable shield can withstand temperatures up to 250ºC (482ºF), making it ideal for monitoring and recording high temperature nut processes. Although this product was created for the nut industry, it is versatile enough to be used in other applications such as autoclave validation, food processing and conveyer oven monitoring. The HiTemp150-TSK is easy to use, simply open the enclosure, insert the HiTemp150, thread the probe through the end cap and latch it back onto the barrier body. *OPTIONAL SOFTWARE/READER. PLS BUY MAD1001S. REMEMBER!